Evidence suggests that state licensing requirements, particularly licensing exams, may be serving as an unfair and unnecessary barrier to entry into the profession - - to the detriment of consumers. After all while licensing is important and meant to protect consumers, consumers are not protected if the pool of professionals on which they can rely is artificially limited. Another interesting set of data has come out of Ohio. In this case, it involves the impact of "who" gives the licensing test. 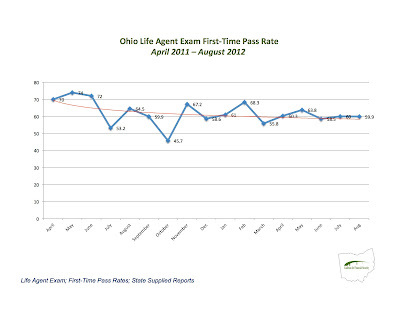 In July of 2011, Ohio switched test vendors. At that time, the pass rate on the Life Insurance exam dropped 10 points (70% to 60%) and has never recovered. If there is a public policy reason that underlies the fact that it has become more difficult to get an insurance license in Ohio, that makes sense. If it is simply more difficult because of arbitrary differences between two test vendors, that is more problematic. First, there is the impact on job seekers. 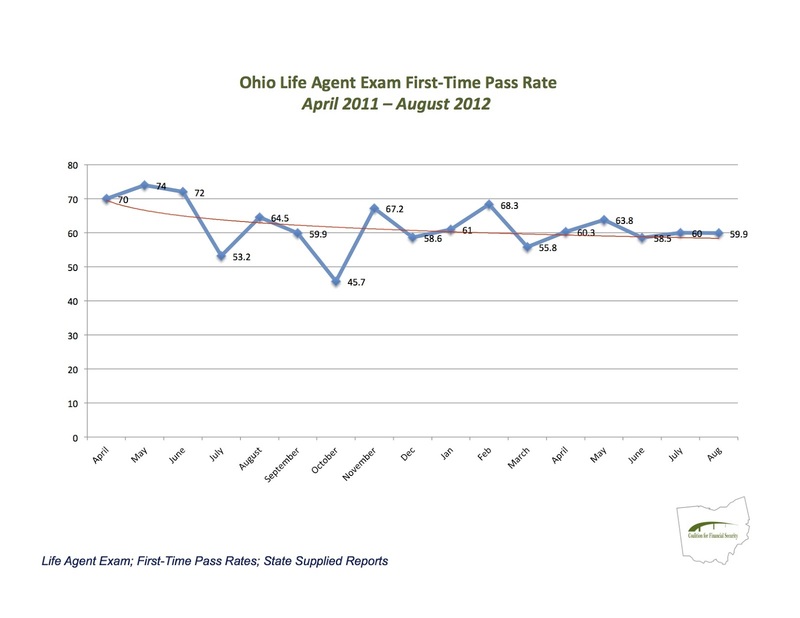 Nearly 2,000 individuals take the Ohio life insurance exam. Under the new vendor, 200 Ohioans who would have passed the first time will now fail. That means these 200 will pay nearly $10,000 more in retake fees. They will also spend countless more hours re-studying and preparing to retake the test. Second, there is the consumer impact. Some of the agents who would have passed under the old system will likely give up entering the profession. These are agents who might have worked with their neighbors to help families acquire the tools necessary to achieve financial literacy. As said in the Texas post, licensing exams should not be made too easy. They should be properly set to measure entry-level knowledge. When pass rates dip simply because the vendor changed, it raises questions about what is being tested. Barring a change in law or regulation, basic fairness suggests that the pathway into the insurance profession should be the same in 2012 as it was in 2011. There is hope in Ohio. As CFS noted before, Director of Insurance and Lt. Governor Mary Taylor is a real champion of agents and brokers. If anyone can look into this problem, her office can.